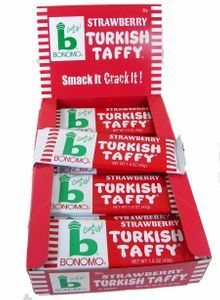 Bonomo Turkish Taffy has a long, storied history, and once you take a bite, it won’t be hard to believe that it’s been a popular candy since the 1940s! 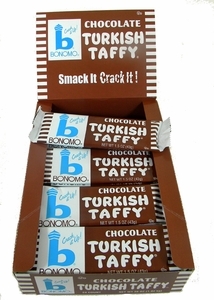 Turkish taffy is the classic candy that breaks when you smack it but still remains chewy. 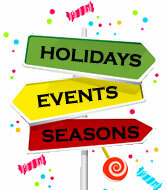 We don’t know how it works, but we love it! 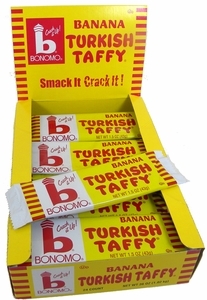 Blair Candy carries the full flavor assortment from Bonomo Taffy, including banana, chocolate, strawberry, and vanilla. 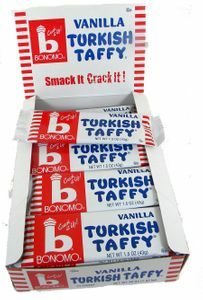 We even have a full stock of this classic candy in fun bite size! 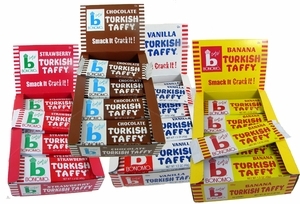 Now, you can carry the huge flavor of Turkish taffy in your pocket! 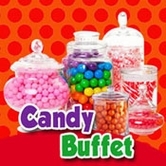 Check out our full selection today at BlairCandy.com!